How one AWS ISV partner built a customer base by going against the grain. In this, GorillaStack’s goal was to get the brand in front of the people who would actually use it. In a similar strategy to the one Atlassian employs, the company offers its tool direct to developers at a relatively low price per user and then lets the tool sell itself to other users in the organisation. “We wanted to work very much from the ground up with more technical people,” he said. Berger described his target market as the “forgotten people” within an organisation. “These are the guys doing the grunt work and due to the infrastructure we started out with from a business perspective, made a lot more sense to target those individuals. “We found there were a number of businesses we seeded from the ground up as opposed to the other way. We also think that adoption is much more successful in that direction than having someone at the top dictate which software these guys would have to use," he said. For GorillaStack, these relationships form the bedrock of the business. “We know developers well and we know that they are of a certain type, so we know that once they take up a tool, you will generally get that commitment from them," Berger said. “There is short-term business to be done at the top end, but we felt that adoption would be far more successful if it was of the [developer’s] own volition. “We also felt that at our stage of product development, it made more sense to be building for the developers. It is a real point of pride for us that we are developers building for developers," he said. Berger said that, once you get to the top of an organisation, that touch can often, but not always, be removed because you are three or four places removed from what the daily workload looks like, and it becomes harder to make that connection. According to Berger, by targeting developers and offering them a tool to make their lives easier, the company is creating that ever elusive stickiness many partners and ISVs strive for but never achieve. For Berger and the rest of the GorillaStack team, creating a sense of ownership amongst the user community is essential. “When Developers are using those tools they feel really comfortable with but also speak to them and their needs, we see that get pushed up the organisation," Berger said. “When the people at the C-level are seeing the uptake and benefit of these tools, it is a better way for them to understand and for us to drive usage." GorillaStack still has top end conversations and Berger said that is where all conversations eventually end up, but the company is engaged with its base via various channels. “We like to support those developers having those conversations within their organisation,” Berger said. Knowing your user base is key for ongoing success, which is why so many companies spend millions on research to assist with product development, according to Berger. However, GorillaStack knows its base and what they like. Thus, the company went directly to them through a tool used by almost the entire community, Slack. “Everyone of our users has access to us through a public Slack channel, although they have private rooms. So we are seeing developers getting in touch with questions and suggestions,” Berger explained. 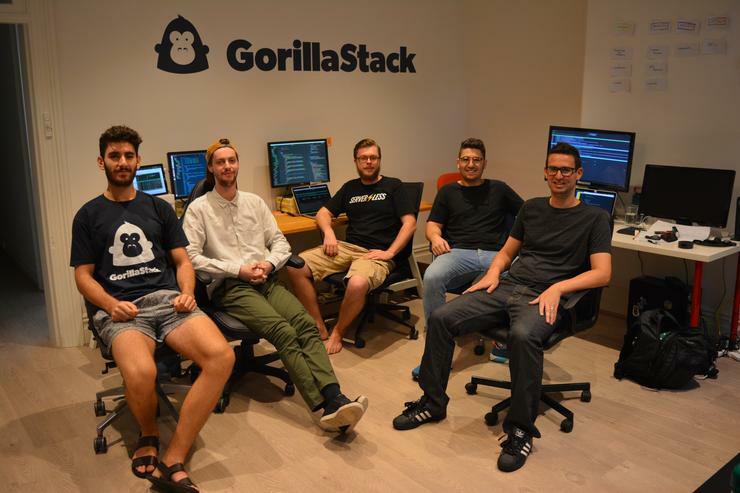 Through this medium, GorillaStack’s users are able to talk to the team directly, ask questions about the platform and suggest improvements, obfuscating the slow and often frustrating process of email communication. “We have a great little community on [Slack], there is a public channel where everyone can speak to each other but every customer has a private channel where they can get in touch directly,” he said. For Berger, Slack has become a crucial part of the customer engagement process. “We have a global customer base and it means we are able to talk to our user base in real time. If we are not available, it is there and logged. It allows us to have two way conversations very quickly and makes customers feel like they are engaged without waiting for an email to come back," Berger said. “It is also a good channel for us to collate requirements and spread messages to our users. It allows us to engage in conversation without it feeling like it is a stunted email back and forth,” he said.